Travels – It's a mad Mad Land out there. 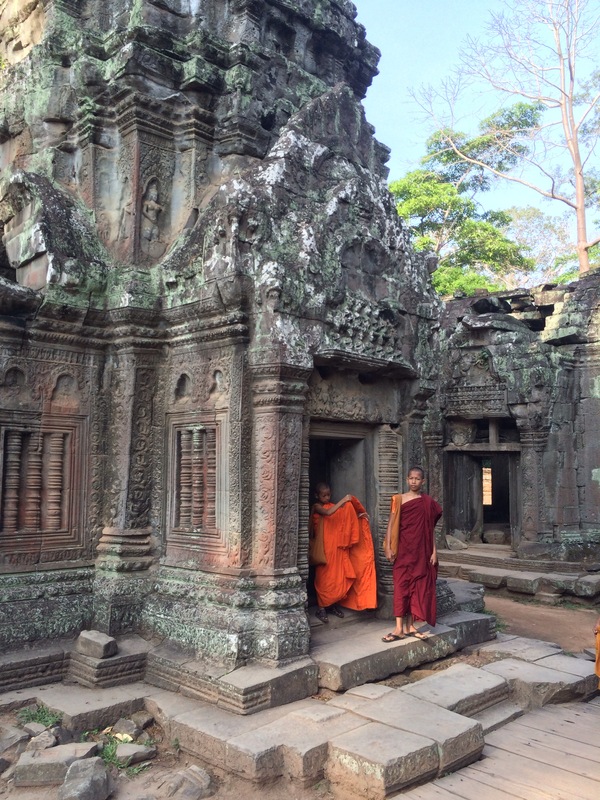 For many backpackers traveling through Southeast Asia, Cambodia is the country they most look forward to. It may be small in size, but it is rich in culture and history, and home to one of the Seven Wonders of the World, Angkor Wat. 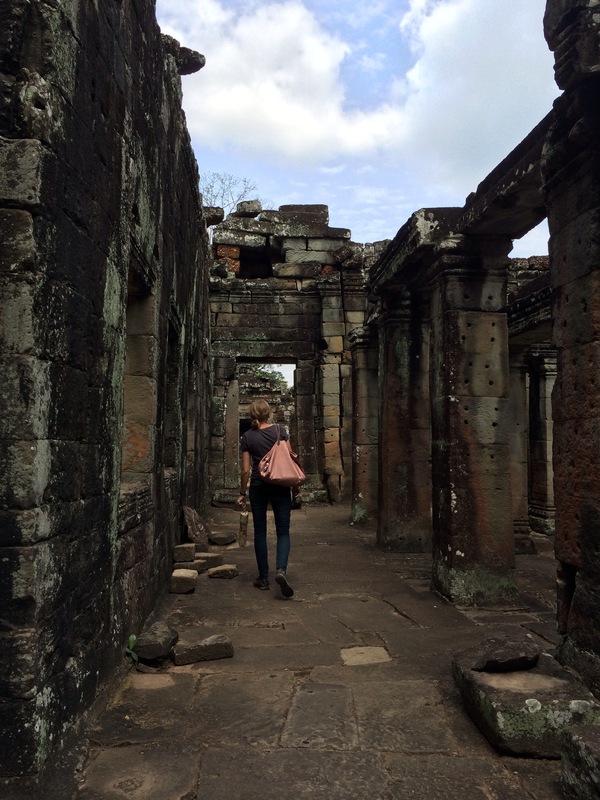 It is hard to say which country was my favorite part of my Southeast Asia adventure, but unofficially, Cambodia was the country that got me excited to visit. Traveling from Bangkok, Thailand to Siem Reap, Cambodia can be not only a little stressful, but also expensive if you don’t know how. Many travelers pay a tour company anywhere from an equivalent of $75 to $100 to be bussed from Bangkok to Siem Reap in an air-conditioned, comfortable bus. Tourist trap is all I have to say. While it takes more time and you have to switch transportation methods a few times, if you make accommodations yourself you can get to Siem Riep just an hour or two after those tour buses drop off their clientele and for a fraction of the price and you get to experience local transportation. The first step is the train from Bangkok to Aranyaprathet, the major city just off the border. You travel by passenger train, where seats are first come, first serve and there is no food or air conditioning, but for $1.50 you can’t really complain. There are two trains, the morning and afternoon. Check local listings for exact time and changes. While I did not take the later, I would recommend taking the early morning train. Given the condition the train is and the potential for break downs and delays, there is a good chance you could miss the border and be forced to stay overnight because the borders are closed until the next morning. A tuktuk will transport you from the “train station” –or more like, a small patch of sidewalk– to the border for just $1, and after waiting in line and confirming you have your passport visa correct and valid, you walk across the border of Thailand and through a small stretch of ‘No Mans Land’ before entering Cambodia. If you’re lucky, there might be a local bus that will transport you to Siem Reap, but from other blogs and travel websites, that bus ‘conveniently’ leaves right before the train arrives. Because I prefer to be safe than sorry, my friends and I booked a private car through the hostel we were staying at to wait for us at the border and transport us there. The positives about this option, is regardless if the train is late arriving and there is a delay at the border, which is what we encountered, the car will still be there waiting for you. Especially if you are traveling with a few other people, this option ends up being very inexpensive. I believe all in all, in a group of four, each person paid $15. A fraction of the price. 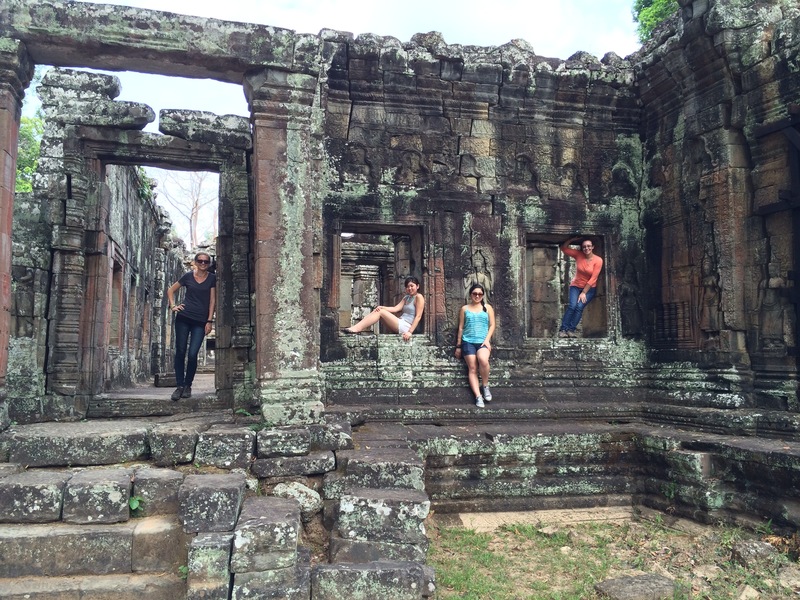 Siem Reap is an absolutely amazing, relaxing town. Everyone is so eager to assist and talk, and it was one of the most welcome towns I visited during my trip. Angkor Wat is not within walking distance, unless you want to practice your marathon skills, but you can easily take a bike tuktuk to shuttle you not only two and from the site, but between each temple. My one piece of advice is this: Angkor is made up of many different temples, and just like Chiang Mai, you can get templed out very fast. Put some research into the first one you want to see. It will be the one that leaves the largest impression on you; the one you will remember for the rest of your life. After a day or two, they meld together and it will lose the enchanting feel. Rather than being in awe by the beauty of each temple, you start to just check them off. We decided on Ta Prom, not just for its earthy appeal, but also because as a nerd myself, I was excited to see where part of Tomb Raider had been filmed. 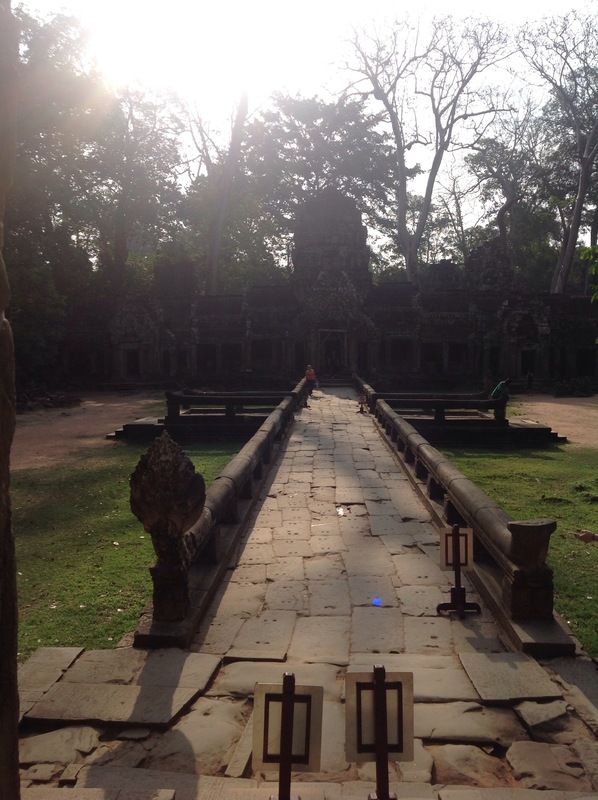 Given the amount of time you decide to spend wandering around and how many days you allot to exploring Angkor, you can see two to three temples a morning before the humidity and heat gets too unbearable. A three day pass gives you enough time to solidly explore the places you want to see, experience both a sunrise and a sunset on the grounds, and spend the afternoons enjoying the small town of Siem Reap before moving on to your next destination. 1. Ta Prom – Not just because this was the first temple that we visited, but because of it’s overall beauty. Trees growing through the structure and left. 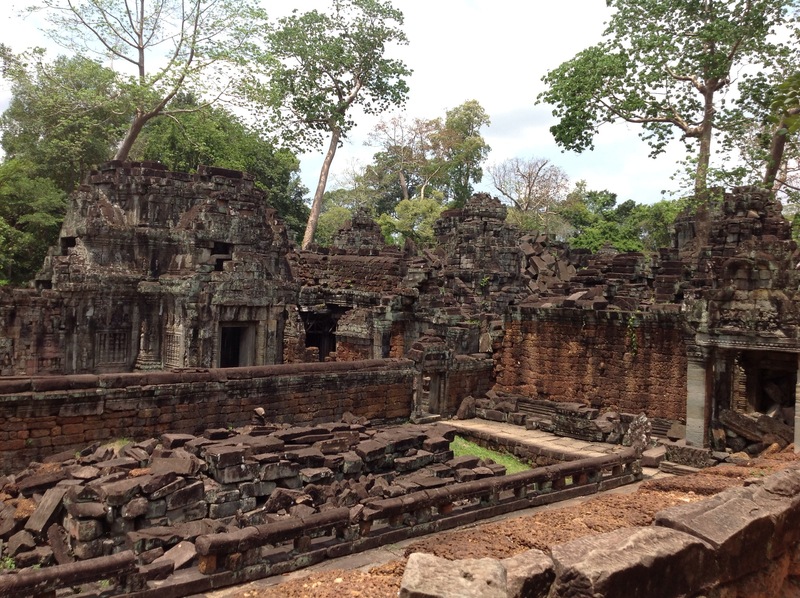 This temple has been preserved/reconstructed, but overall, it remains as is. 2. 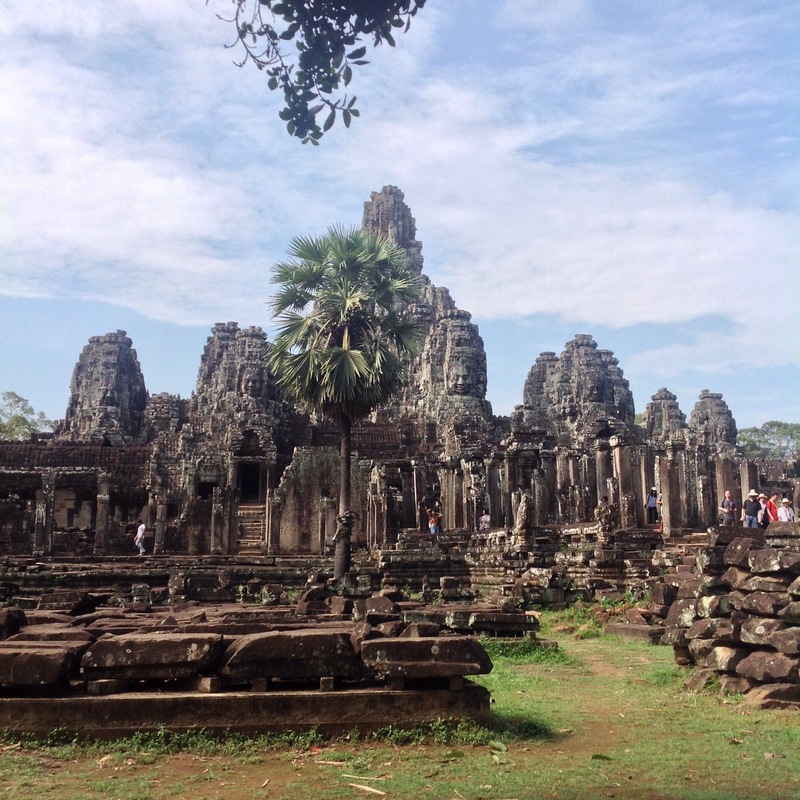 Bayon – I think the pictures are self explanatory, but with roughly 300 large stone heads, it is absolutely breathtaking. You can climb right up next to the faces and marvel at the skill it took to create each one. 3. 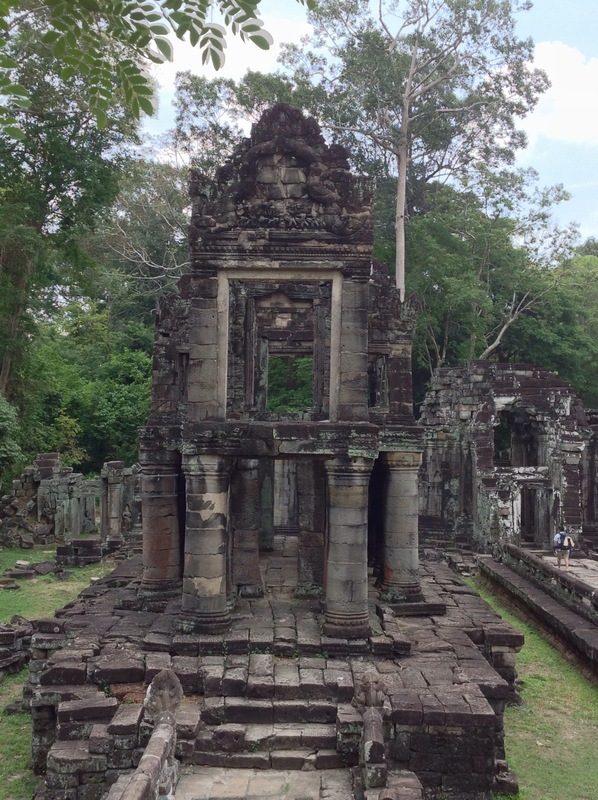 Preah Khan – To see a temple as it is after this many years. Unrestored. Stones where they have fallen and remain untouched. I am a fan of restoring history and allowing people to see what it once looked like and was, but at the same time, I love raw tourism. Sites that haven’t been touched and are as they are, regardless of the destruction that we may have caused them over the years. That’s what I feel gives it history. If you have extra days or time, take a moment to visit the Night Market and relax. There are massage parlors all over the place. While trying to escape the rain, my friends and I got a 30 minute foot massage, and it was spectacular. You can get a fish pedicure–although I will warn you, there might be embarrassing videos taken of you freaking out. Attend a cultural event and watch the native dances be preformed. 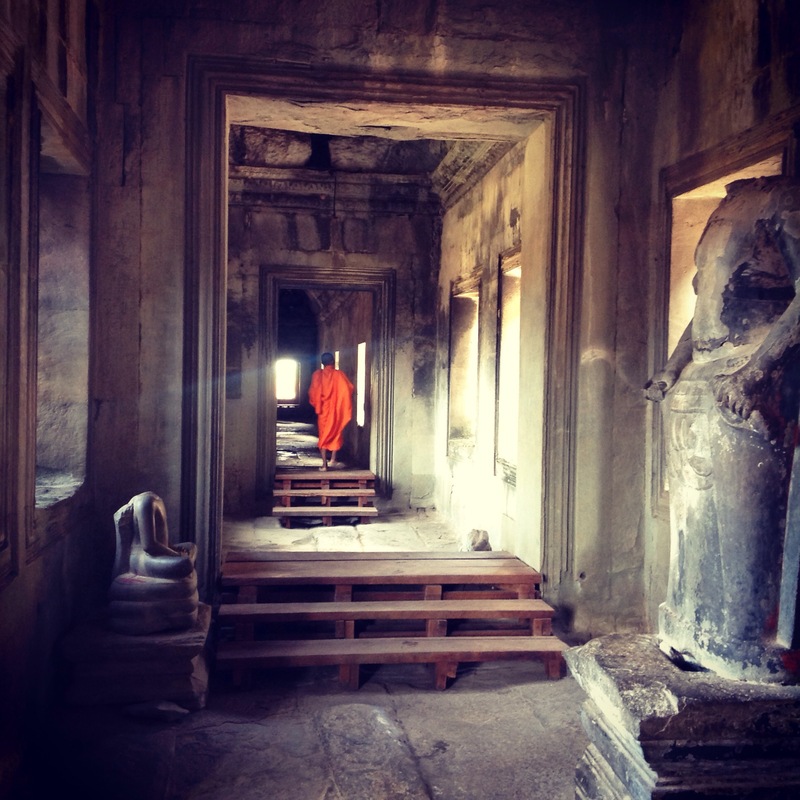 The options are endless in Siem Reap. 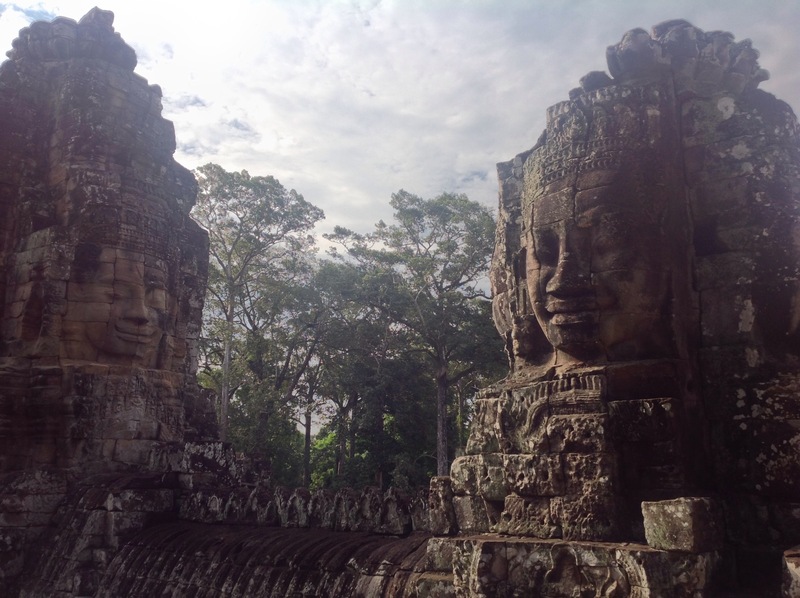 They have truly embraced tourism with open arms and created a very welcoming and relaxing destination for all, and they made my trip through northern Cambodia very enjoyable. One more destination down, five more to go. Next stop, Phnom Penh. Bangkok is city of 7-Elevens and tons and tons of people. Most people stop in Bangkok to enjoy the nightlife and as a home base for short trips outside of the city but still within Thailand. The main reason for my travel party and I to stop for a few nights in Bangkok was to get our Vietnam Visas. Unless you apply in your home country and know exactly what days you will be in Vietnam, getting a visa can be a little difficult. For most backpackers, all you know is your departure and return date to your country of record. For everything else, you go with the flow. You can have ideas of where you want to go and when, but a majority of the time, when you get to a destination, you barely even know what you are going to do the next day. Typically, you check into your hostel and meet fellow travelers, and from that, you get advice on what to see not only at your current location, but also in your future travels. My friends and I had a set schedule. We knew exactly where we were going and when. I still considered us backpackers because we didn’t know our program of activities and we traveled on significant budgets, using public transportation, and traveling through and staying at hostels. 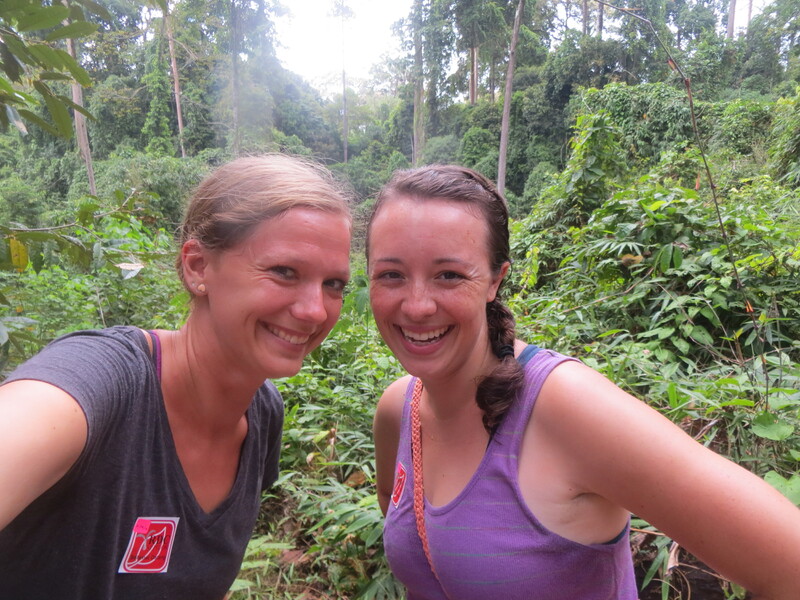 Two of us had our visas, but Amy and I had also been working overseas for the past two years, so applying for a visa in Madagascar wasn’t an option. We arrived in Bangkok after a little longer than expected overnight train from Chiang Mai. It wasn’t significantly late, but it did throw a wrench in our plans that we wanted to get our passport visas the day we arrived. By the time we got to the hostel, checked in, and delivered our luggage, the cut off for next day processing had already passed. We had factored in an extra day for official travel documents so we just rearranged our program of activities. For Vietnam visas, you must apply at the Vietnam Embassy in Bangkok. If your next destination is Cambodia, you can apply in Phnom Penh, but if you are just passing through, you won’t have enough time to get it approved. Bangkok is your last chance. Getting to the Embassy can be a little confusing. If you are coming from the Phloen Chit BTS Station, it isn’t well marked. Make sure you take Exit 2 that will spit you out next to the Mahatun Plaza. Keep walking down that road and on the corner of Phloen Chit and Wireless is the Embassy. There is no sign hanging over the tourist entrance, but the door is protruding on the corner of the building, nearly perpendicular to the street, with blue walls on the interior. Honestly, follow the tourists and most likely the line. You won’t miss it. I personally paid for next day and paid 3300 baht, so just make sure you have enough cash on you to pay a little extra. 5000 should be a safe amount. Unless you are waiting at the Embassy first thing before they even open, you will most likely not get your passport back for same day processing. My friends and I arrived at 9am and barely made it for next day processing since the line was so long and next day processing requests have to be submitted before they close at 1030. Remember that while you might be on a go with the flow mental attitude, businesses in Thailand typically are not, so if you have a strict schedule you have to follow, don’t take chances with running late. You also have to leave your passport there for processing, you cannot leave the Bangkok area, but there is plenty to see in town. 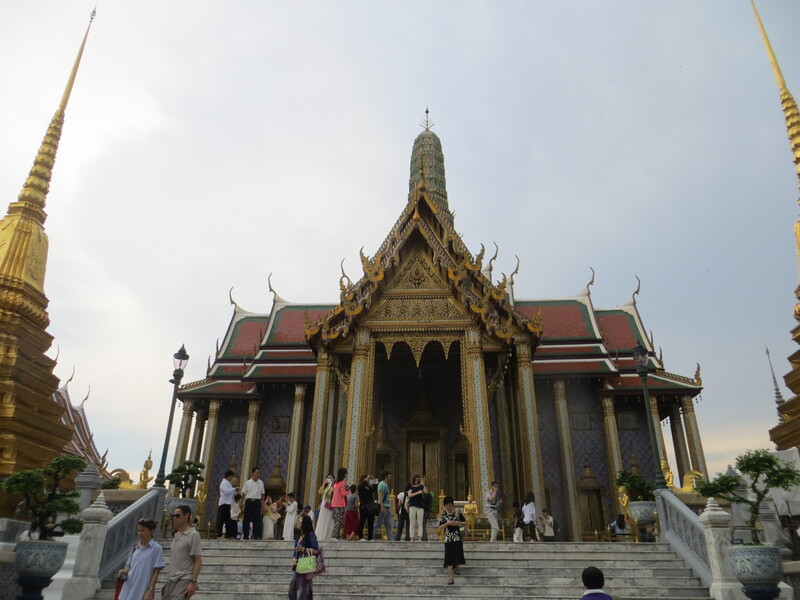 Bangkok is home to the Grand Palace. The Grand Palace was the official residence of previous Kings until 1925, and since then has been preserved as a national monument. The size alone is a little overwhelming. The number of people is even more such. It doesn’t seem that the Palace has a capacity, but rather allows anyone that pays the admission price to come through the gates. 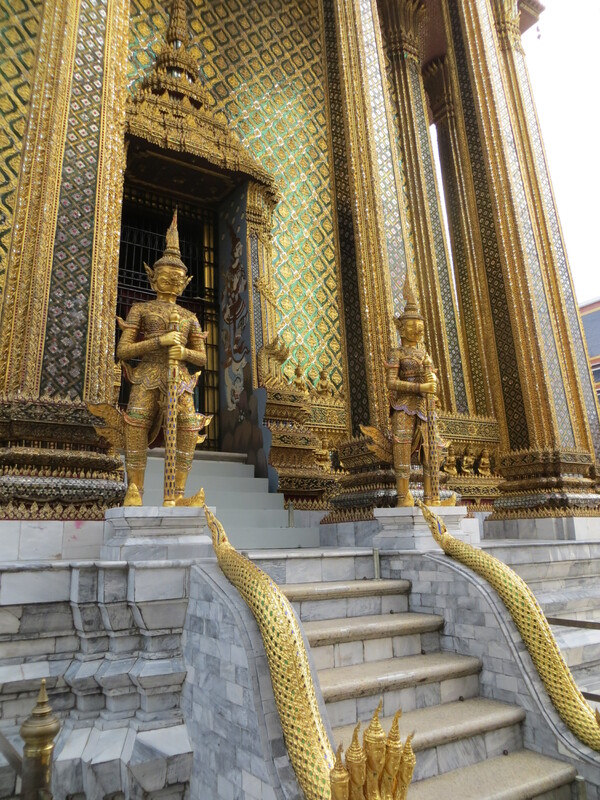 If you’re looking for raw tourism, the Grand Palace is not the place to visit. 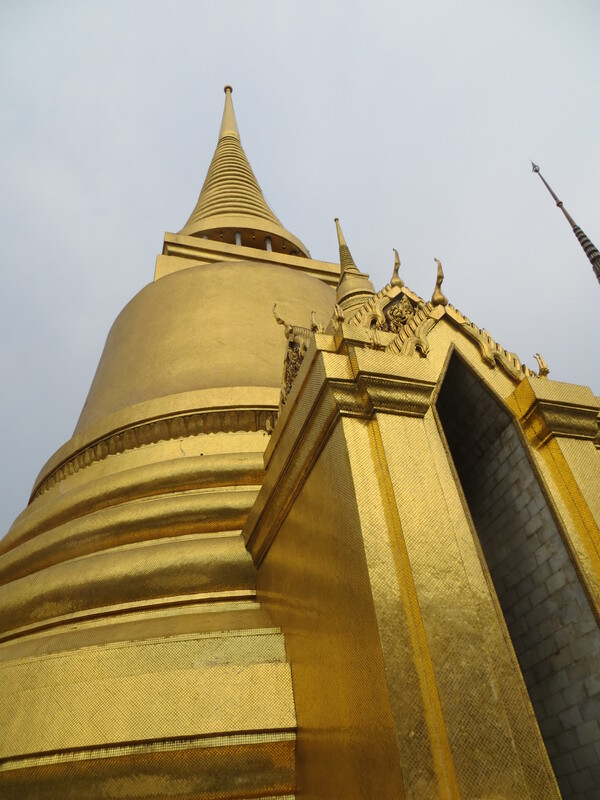 However, if you’re looking for some of the most gorgeous buildings plated in gold and precious stones, then the Grand Palace is a place to visit. You can spend anywhere between a few hours to your entire day there, so plan accordingly. 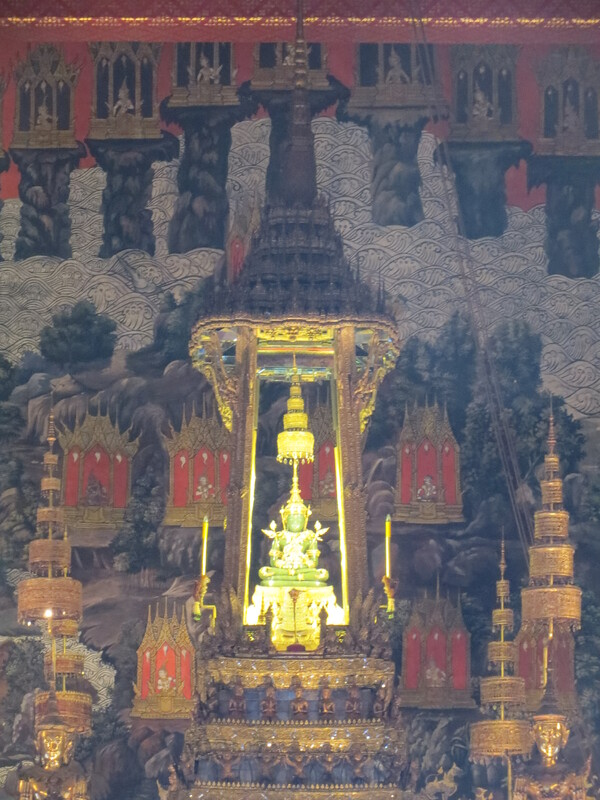 Make sure you visit the Temple of the Emerald Buddha to see just that, the Emerald Buddha. Cameras are not allowed within the temple, but you can still admire it while taking in the rest of the décor. 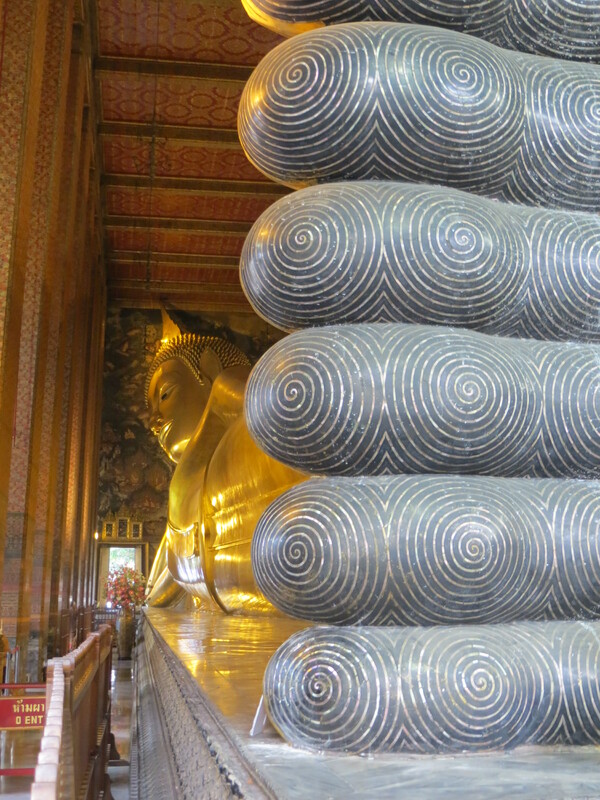 Around the corner from the Grand Palace is Wat Pho. If you can, it would be productive to see them in the same day. Proximity. 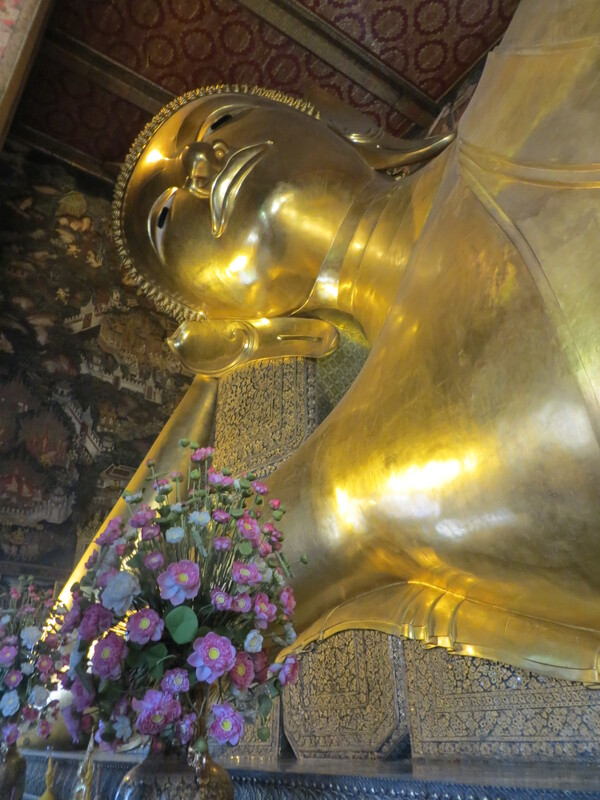 Wat Pho is where the 46 meter long Resting Buddha lies. No pun intended. You will have to take your shoes off to enter, so make sure you wear socks or are completely fine with walking around bare foot and possibly contracting Athlete’s Foot. There is something to see at every angle, intricate details even on the backside. All in all, an hour would be the right amount of time to allot to this visit. If you are traveling to Cambodia, it is cheaper to travel on your own. By taking the train from Bangkok to Aranyaprathet, tuk-tuking to the border, and walking across, you save a considerable amount of money. We met people at the border who paid 3000 baht to be driven to Siem Riep. We paid 50 baht for the train and 100 baht for the tuk-tuk. There are two trains: 5:55am and 1:30pm. It should take a little over five and half hours to arrive at the border. But, as you will come to know, unless you are traveling in countries with great infrastructure and set transportation schedules, you are going to be late. A couple of hours late. If you plan to take the afternoon train, make sure you have all of your transportation mapped out. There’s nothing worse than arriving at the border, and not knowing how to get to your destination. Once you get into Cambodia, you have to find your own transportation to Siem Reap. This is the place to be careful about scams. A lot of people will promise to drive you for a certain amount of money and then not deliver you to where they were supposed to. Check with your hotel or hostel before leaving Bangkok. A majority will set up a private car to pick you up at the border, regardless of what time you arrive and drop you off at the hotel. I really wish we had a little more time in Bangkok to enjoy the overpopulated city and see all of the sites. To enjoy the free museum at the end of the BTS line near the Vietnam Embassy. To see a few more temples. To find the large market. To maybe take a few days and travel down to Phuket, or out of Bangkok to another destination. But we had a schedule to keep to and the best of our trip was to come. 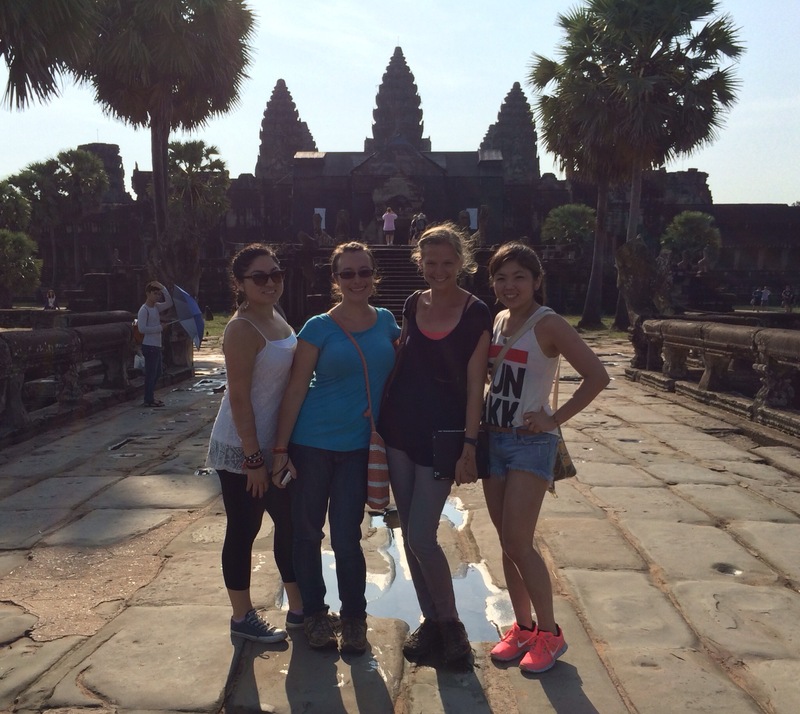 Cambodia was the country we were all looking forward to, especially Angkor Wat. Two countries down, two to go. Surprisingly, with all the chaos around the missing flight of MH370, Kuala Lumpur’s airport was very calm and operating normally. The flight from Kuala Lumpur to Chiang Mai, Thailand was a little over three hours, and very comfortable. This may be associated with the fact that the flight attendant asked me to move to another row, one with no passengers in it. Immediately after takeoff, I proceeded to enjoy the space until I heard the “please prepare for landing” speech from the captain and the flight attendants. 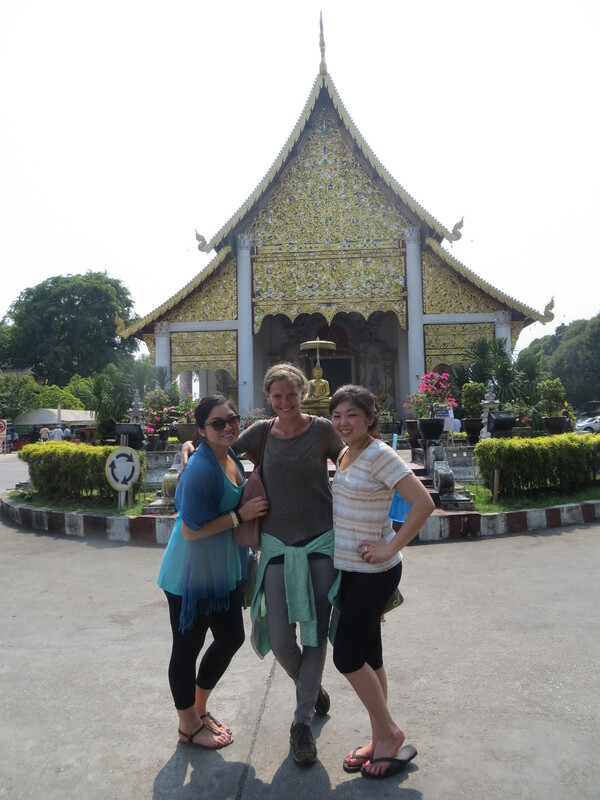 It really is hard to say what part of my trip was my favorite, but my time in Chiang Mai was right up there. For being an international destination, Chiang Mai is a very quant town that is bustling with attractions to keep you entertained. Chiang Mai is divided into two parts, the city within the river, what was previously a mote and runs as a square around the central part, and the city outside of it. Inside the river is what I like to call Temple City. It seems like on every corner there is a temple to go into, explore, and be amazed by its beauty. 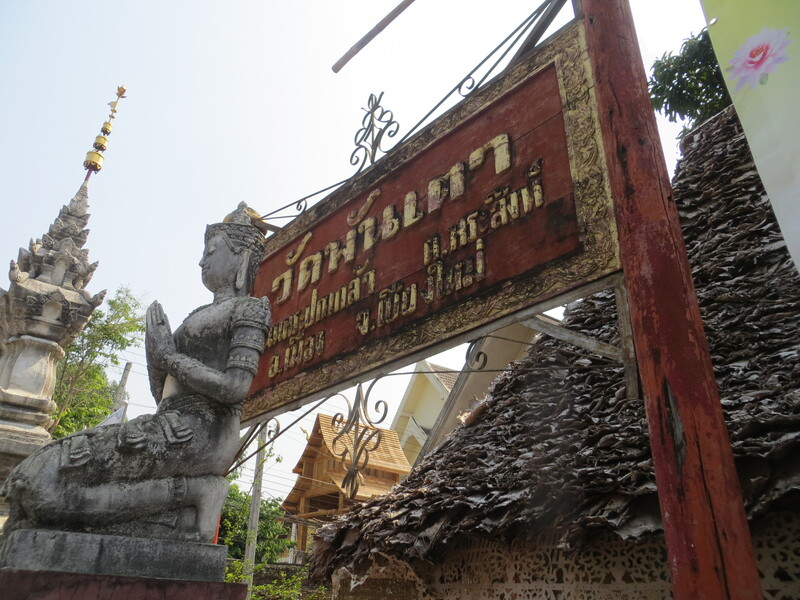 Two things to note about the temples of Chiang Mai: don’t forget to abide by the rules of respect when visiting them. This means no shoulders showing, and no knees showing. Dress moderately. Just wear what you would to a conservative church. The other thing is don’t feel you have to visit every single one. You can very easily be overloaded by temples and not want to visit any more as your backpacking travels continue. My friends and I unfortunately fell victim to that. 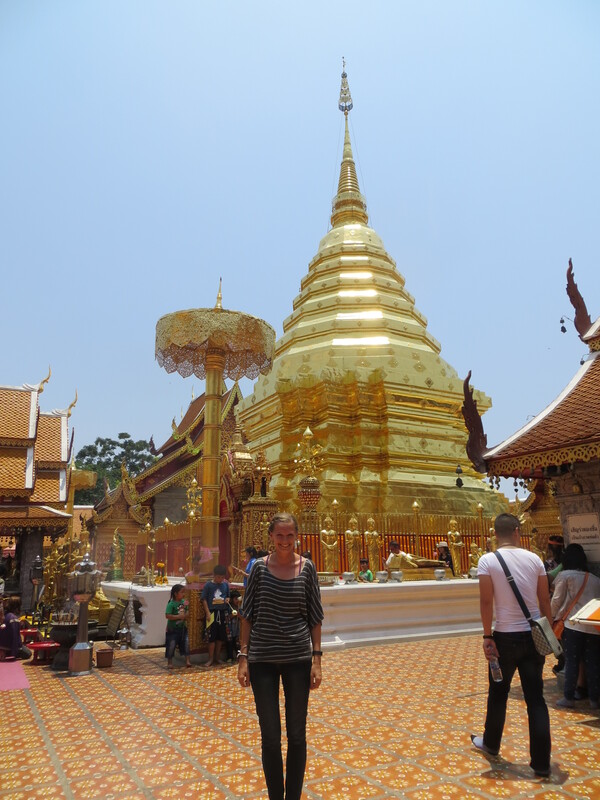 We were so excited to be in Chiang Mai that we visited too many temples too fast and found ourselves “templed out” by the time we reached Bangkok. If I had to choose three temples to recommend in Chiang Mai, here’s what I would say. Wat Phrathat Doi Suthep is a must. It is a half day or day trip outside of Chiang Mai, and make sure you take your motion sickness pills before leaving because that road is rough. I would know. I had to stop the car because I couldn’t handle all of its curves. Just beware. Besides that, this temple is breathtaking, its spire in particular. Completely plated by gold, it can actually make your eyes advert from staring straight at it because it is reflects the sun so much. Wat Chiang Man is the next. This is a less visited temple, but if you happen to stumble upon it, it is worth the visit. It is preserved nicely and doesn’t have the normal glitz and glam of the other temples around the city. That’s what I like the most about this temple. It’s beautiful and small without really trying. My final recommendation is Wat Chedi Luang. Unfortunately, my friends and I never made it to the spire, but the temple and alter within it are both jaw dropping and after seeing pictures of the spire, I know that would have been too. It is on a large property which makes it very popular with tourists, but it doesn’t take away from the experience. 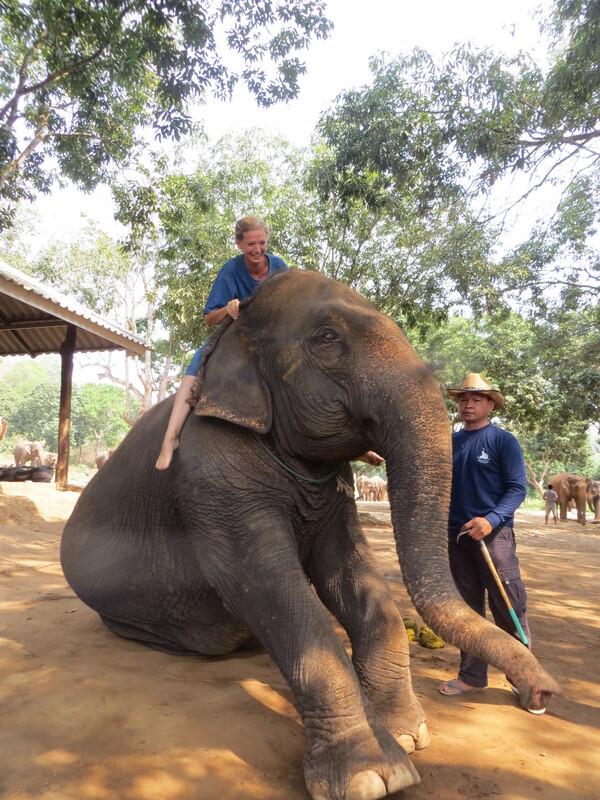 Another reason people come to Chiang Mai is for the elephants. There are so many different options for elephant experiences. It’s hard to make a choice on which one to do. My friends and I tried to sit down and pick a company that did not mistreat their elephants. Baan Chang Elephant Park is what we decided. It cannot be for certain that the elephants are not mistreated, but it was our best option, and while we were there, we did not see anything that was outright hurting to the elephants. They will pick you up at your hotel, hostel, or wherever you are staying and transport you to the park. (on a side note, if you’re looking to splurge and sleep in some of the most comfortable beds ever, Raming Lodge is the one for you while in Chiang Mai.) Jimmie was our ‘handler’ and he was one of the funniest and most enjoyable tour guides we had the entire trip. 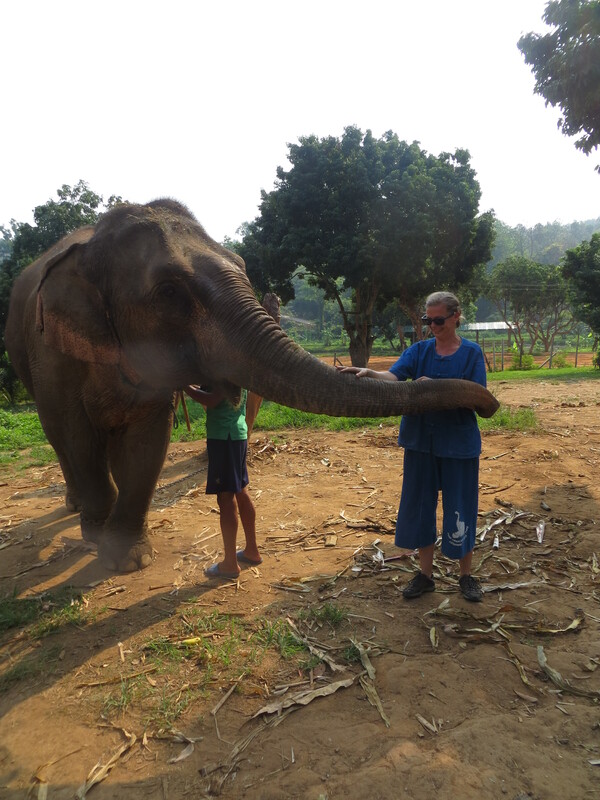 For the first hour, we walked around and fed the elephants sugarcane. We were allowed to pet them and interact with them. 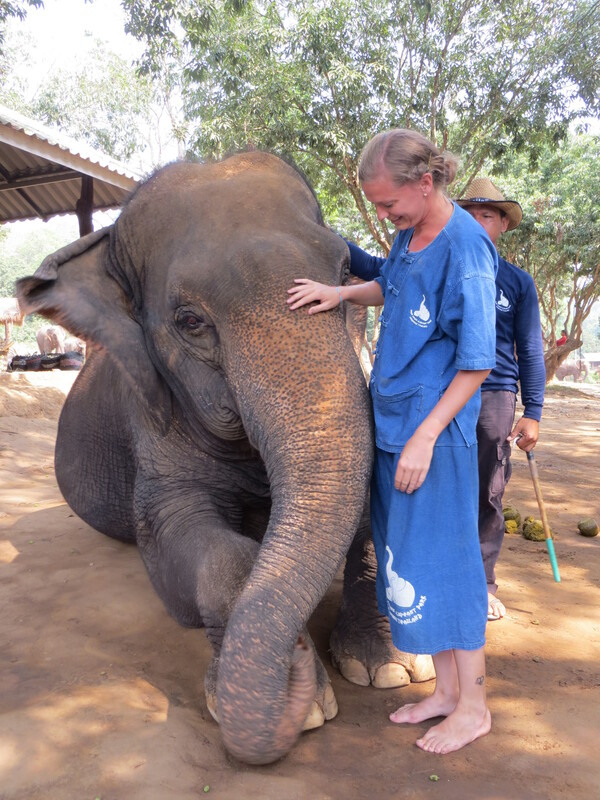 Jimmie had one of the baby elephants give us kisses which feels like a vacuum getting stuck on your neck. We then spent the next two hours training on commands for when we ride the elephants. The commands escape my mind right now, but they were the traditional commands you would teach your dog—stop, go, left, right, down, up. 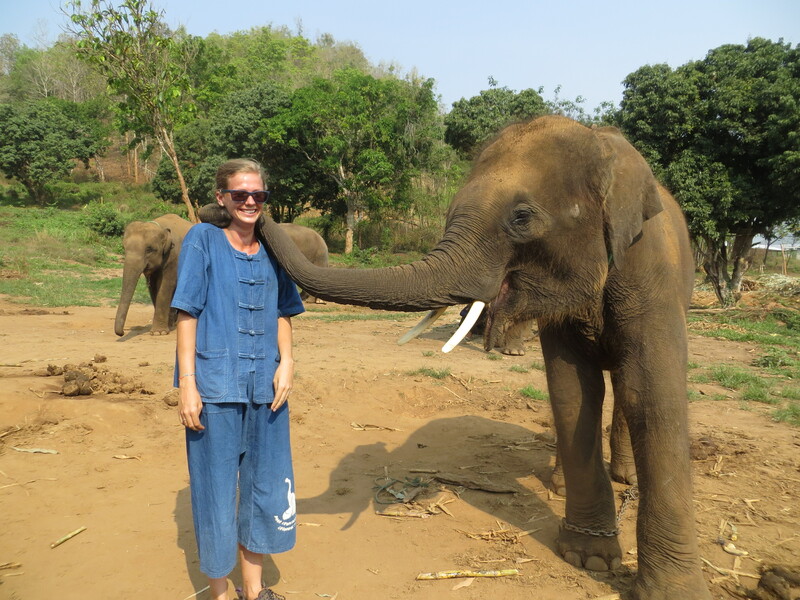 We practiced getting on and off the training elephant before we ventured onto the trails with our elephants. Amy and I were elephant buddies, each taking turns being the rider and the passenger. Elephants are really not that comfortable. Being such large animals, it becomes uncomfortable to sit on them. Not to mention their hair, while it looks soft and puppylike, is actually very rough and scratchy. But they’re really gentle creatures and riding them was an experience I will always remember. You end the experience by bathing your elephant in the pond, and they are not shy elephants. They have as much fun as their riders. Five days in Chiang Mai was enough to really experience this small city and everything it has to offer. It’s spectacular night market, the upscale market of jade, silver, and silk, and the many many massage parlors that offer traditional Thai massages and on the sidewalk fish pedicures. Our next stop was Bangkok, the capital of Thailand. We took the overnight train down, and woke up to the sound of the train horn as we entered Bangkok. It was my birthday weekend and I had some fun times in store. Sepilok’s Orangutans and Kuala Lumpur’s Batu Caves. An End to Malaysia Travels. When planning our trip across Southeast Asia on our way home to the United States, Amy and I sat down and looked through the guide books to see what we would want to do. The entire point to making the voyage out to the Borneo Island for us was Sandakan. Sandakan is small oceanside city on the Malaysian side of the island that is the transit point to Sepilok, the home of the Sun Bear Sanctuary and Orangutan Rehabilitation Center. I remember the moment that Amy and I got off the plane and were waiting in the taxi line and an elderly tourist stopped me. “Excuse me miss? Can you tell me why there are so many young individuals flying to here?” he asked me. “There’s an Orangutan Center thirty minutes away from here,” I responded back. “Oh….I thought it was something more exciting,” and with that he turned and walked away. More exciting? What can be more exciting than visiting a center that is only one of four in the world? The world, people! Sepilok is an easy taxi ride from the airport. We discovered early on in our travels, that when having to take public transportation, it was typically easier to take a taxi, then local buses. Not only in efficiency, but because with local buses, you have to change buses to get almost anywhere. It is also really convenient, and overall, not that expensive. At any airport, you go to the taxi window, tell the attendant where you are going, they charge you a cost, you pay, and then you give the ticket to taxi driver when you go outside. It prevents greatly from the taxi drivers scamming you by running up the meter, if it even has a meter. There is no dirt cheap place to stay in Sepilok. The luxury hotels monopolize the area, but the Long House offers a somewhat inexpensive accommodation. Food however, good luck. Look to be spending US prices eating the simplest meals on the menu. That’s just the way it is. The hotels are the only option for eating. 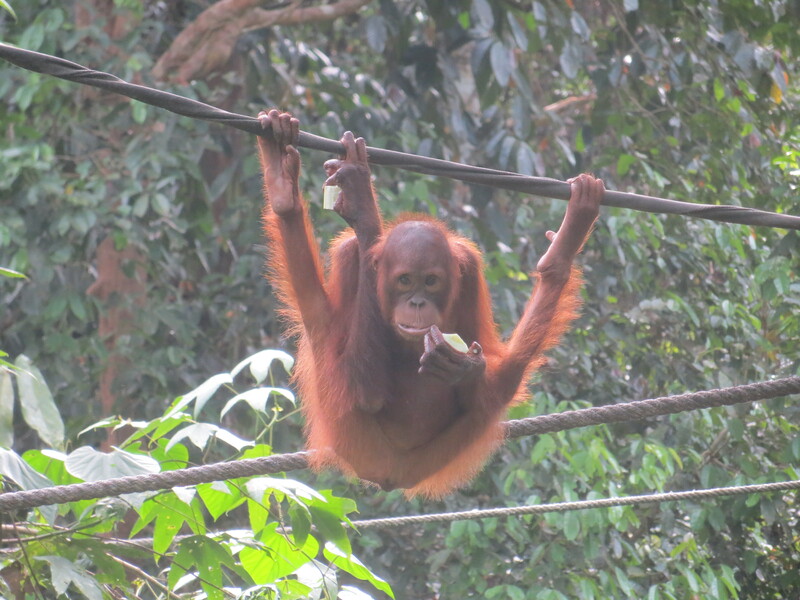 The Orangutan Rehabilitation Center is open all day for hiking, but there are only two feedings to see the orangutans, 10am and 3pm. If you want the best value for the ticket price, go to watch both feedings. 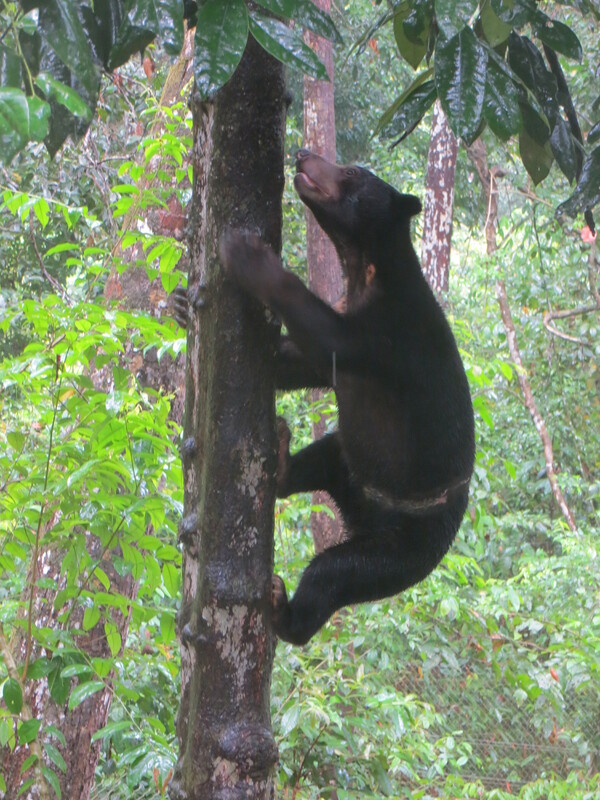 If you have two days in Sepilok and you won’t make the first feeding for the first day, put it off and go to the Sun Bear Sanctuary instead. 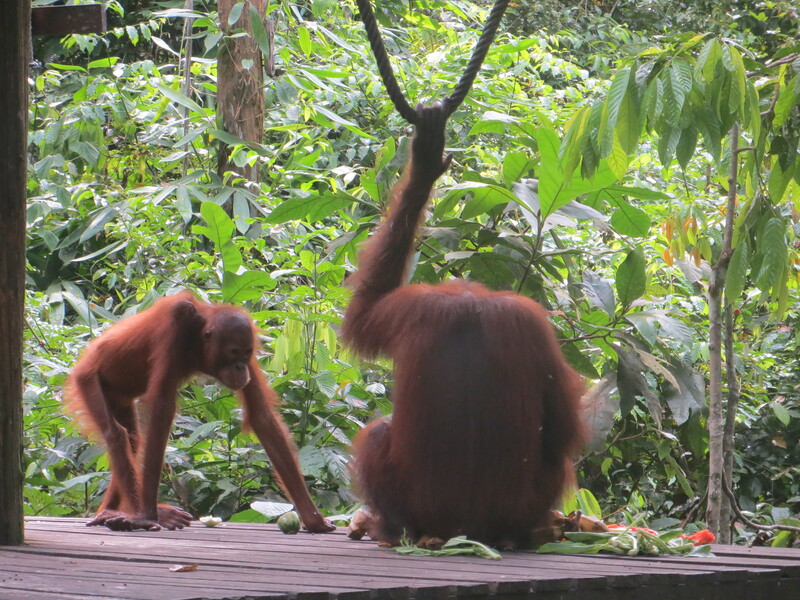 Right across the street, and pushed out of the limelight because of the orangutans is the sanctuary where the world’s smallest bear lives, and they are worth the visit. They are some of the cutest animals I have ever seen, and they climb trees! 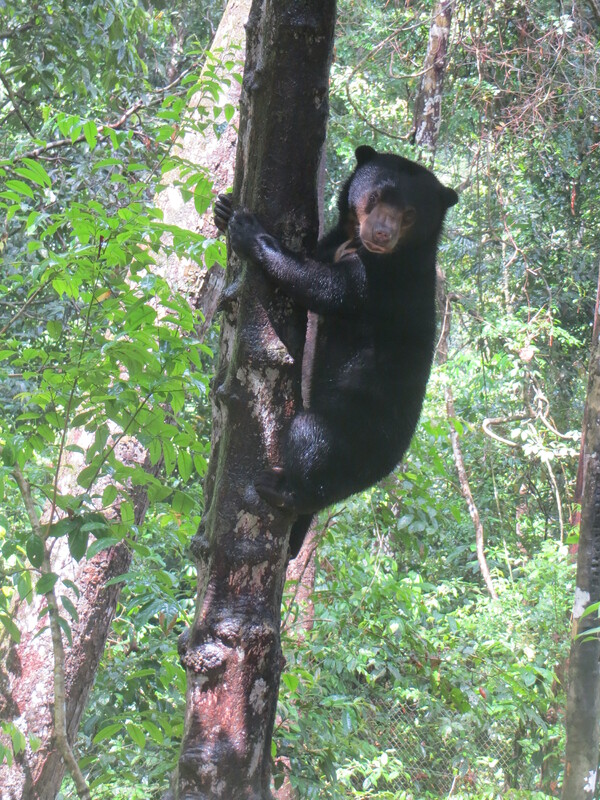 We spent three hours without even knowing it watching them climb up and down trees. 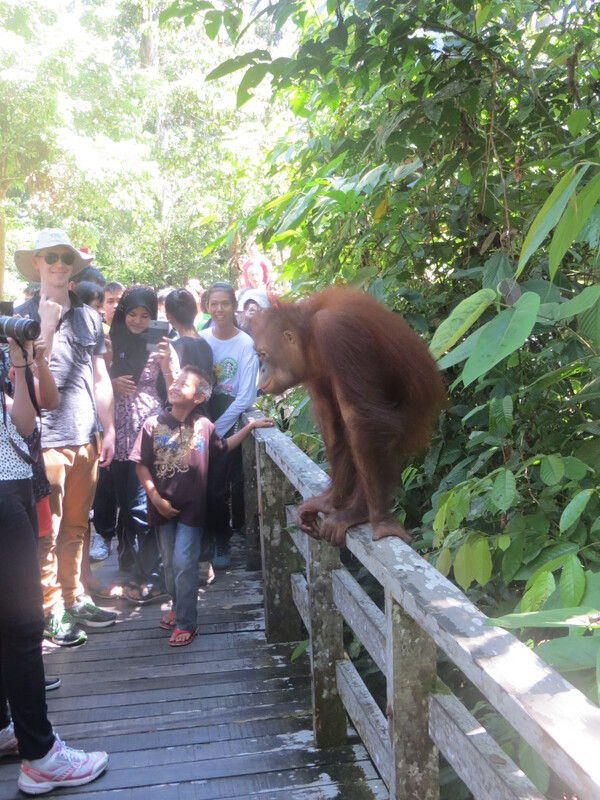 Apart from the Sun Bears and Orangutans, Sepilok is also home to the Rainforest Education Center, a great place to take a hike and bird watch if you have extra time, and learn about the plants that call Malaysia home. But beware of the humidity and the leeches! They’ll get you every time. 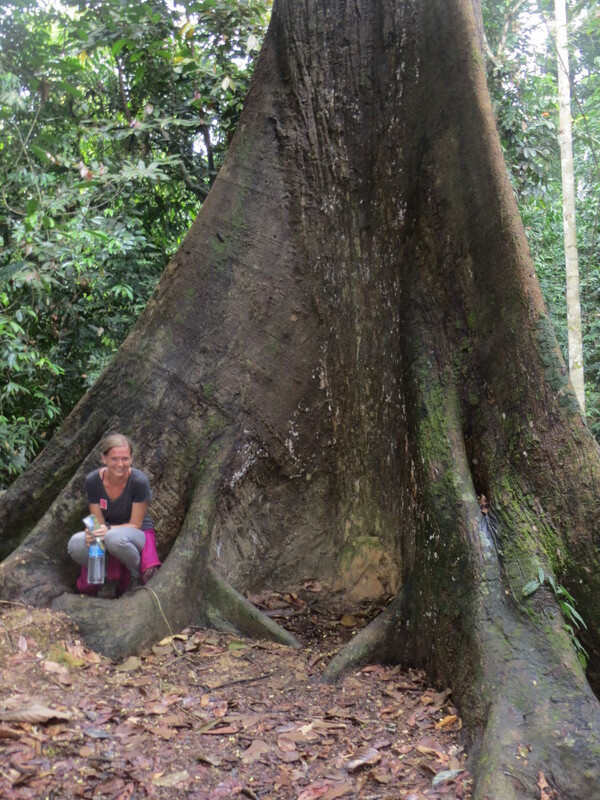 Amy and I spent a total of two nights in Sepilok, and left the morning of the third day to our final Malaysian destination, Kuala Lumpur. 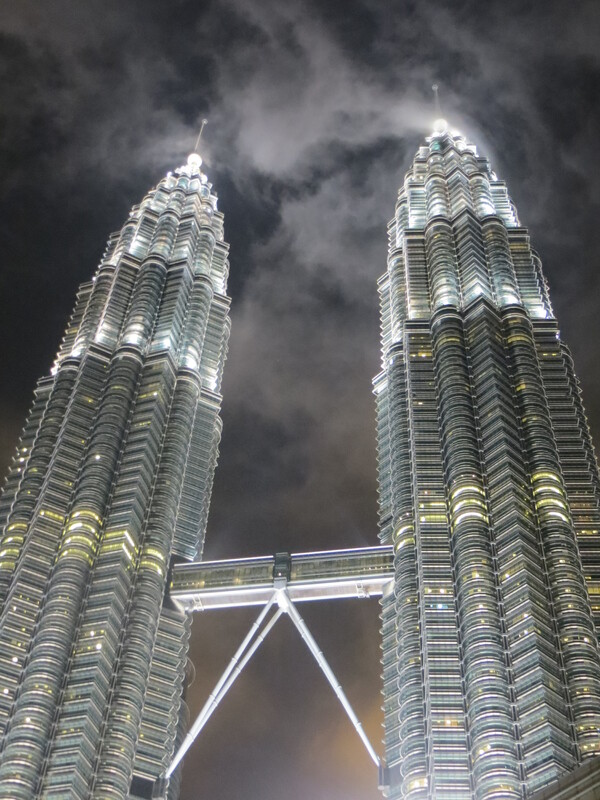 We had intentions to make the trip to Kuala Selangor to experience the fireflies, but with traffic getting back into Kuala Lumpur from the airport, we missed the last bus out, meaning an extra night in Kuala Lumpur, doubling our time in there. We ended up staying at The Pod Hostel, one of the coolest hostels I stayed in the entire trip. The dorm rooms were the same, but the individual room we slept in the first night since nothing in the dorms were available was very “pod”esc, something I enjoyed. The reason we only allotted two days to Kuala Lumpur was mainly because it was just a stopping point on the way to Thailand. 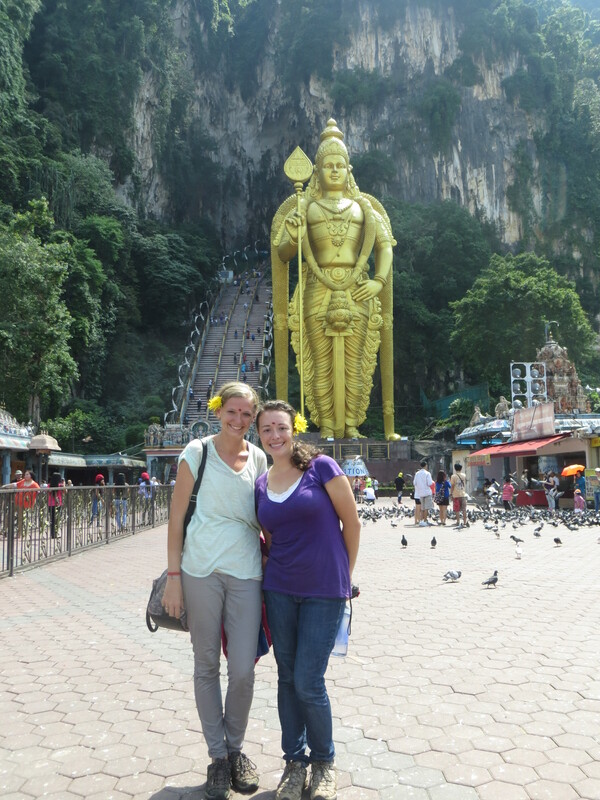 We did want to visit the Batu Caves and two friends from our Peace Corps group were in town as well, so our days were planned, and only two were needed. 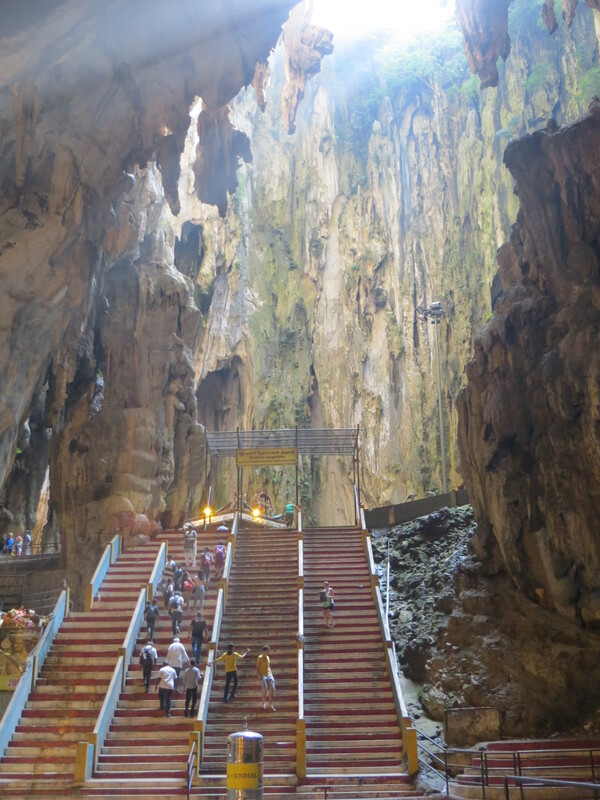 Everyone that travels through Malaysia has heard of the Batu Caves. It is a religious sight, known for its tall statue guarding the stairs and the entrance of the cave. It too can be easily reached by the local metro system, costing roughly $4 round trip, dropping you off right at the entrance. It would be beneficial to do some cardio in the days leading up because those steps will definitely cause you to be winded by the time your reach the top. You can be blessed at any one of the temples, giving a dollar or two donation in return. I have never liked when people make a religious site a tourist trap by ‘selling’ the experience, but Batu Caves does it in a very classy way. Monks are walking about, using the grounds to further their faiths, and overall, tourists are very respectful of what areas are designated tourist and what remain for their original purpose. 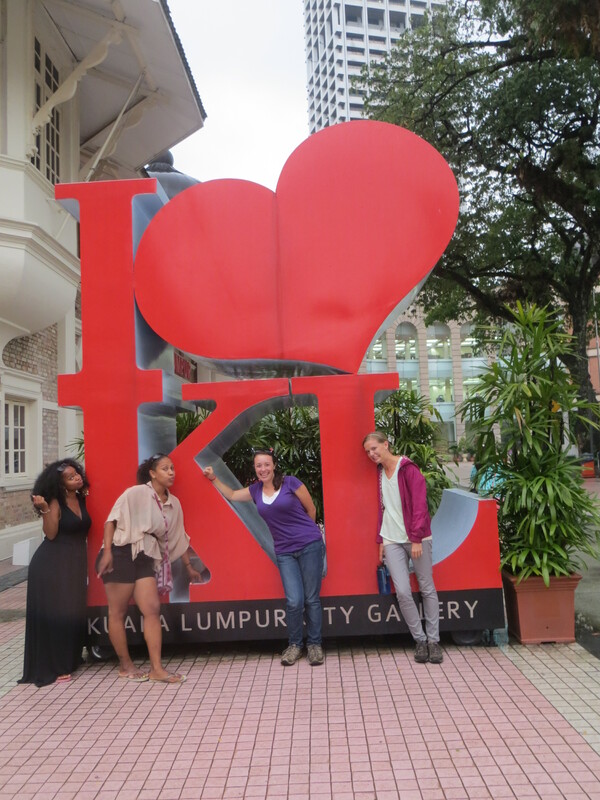 Malaysia was a whirlwind of 7 days and a lot was accomplished in that time. There was little time to relax, but rather take in the sights, and the rest of our trip would be the same as well. On to Thailand, starting with a flight into Chiang Mai.